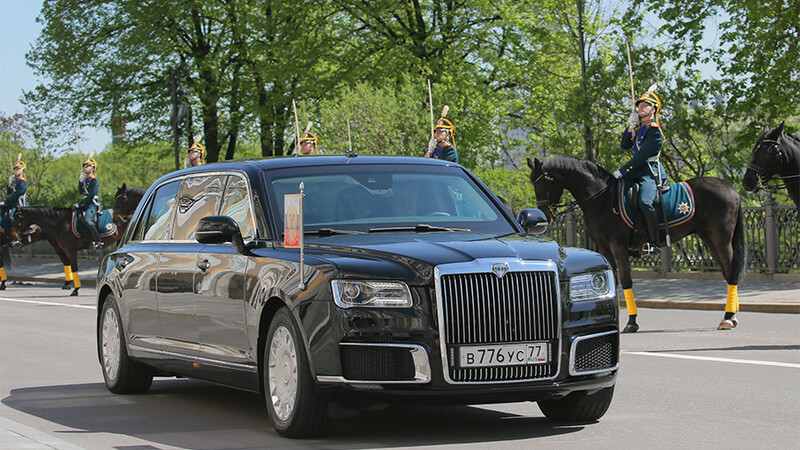 Russian President Vladimir Putin debuted his new, Russian-made limousine Monday, being driven the short distance between the Kremlin Senate building to Andreyevsky Hall, where he was inaugurated for a fourth term as president. 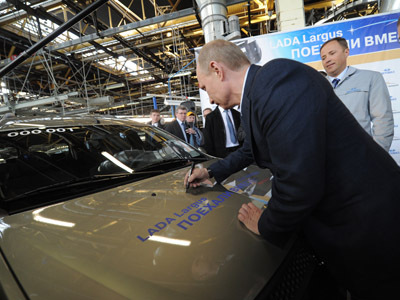 Russian engineers had been working on a new fleet of state cars since 2012 and Putin’s new official car, the Senate Limousine, is one of several models developed under the ‘Kortezh’ project. The limousine reportedly has a horsepower of 598 and a 4.4-liter V8 engine. 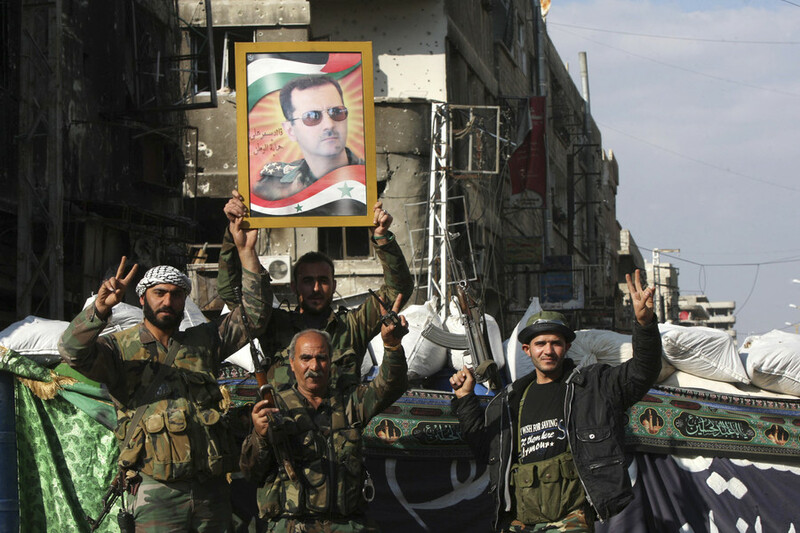 The fleet is a departure from Putin’s traditional use of German-made cars. In the past, Soviet leaders used mostly domestically produced cars like the ZIL-41047 for official purposes, but that changed in the mid 1990s when the Kremlin began to purchase German cars. Before the ZIL class of cars were manufactured, Stalin was a fan of the luxurious American ‘Packard’ and, in 1935, American ambassador Averell Harriman donated a Packard 14th series from US President Franklin Roosevelt. In 1936, the first batch of domestically-made Russian limousines, the ZIS 101 series, was launched. But Stalin was less than impressed, feeling that his American Packard was more spacious and technologically advanced. By 1945, the ZIS 110, which was intended to be comparable to the Packard 180, was launched and the armored version, the ZIS 115, was given to Stalin. When he first came to power, Khrushchev tried to ignore his guards’ suggestions that he use armored cars. He eventually gave in and rode in the new ZIL-111. When meeting special guests at the Kremlin, Khrushchev would use the open-top ZIL-111V, the same vehicle that drove Yuri Gagarin, the first man in space, to the Kremlin in 1961. Despite his distaste for armored vehicles, Khrushchev was a fan of cars and occasionally bought them or received them as gifts. In 1959, he bought an American Cadillac Fleetwood 75 with red velvet upholstery and air conditioning. It was Brezhnev who was the biggest fan of cars, particularly foreign cars; Maseratis, Rolls Royces and the blue Mercedes in which he always drove himself around Moscow. 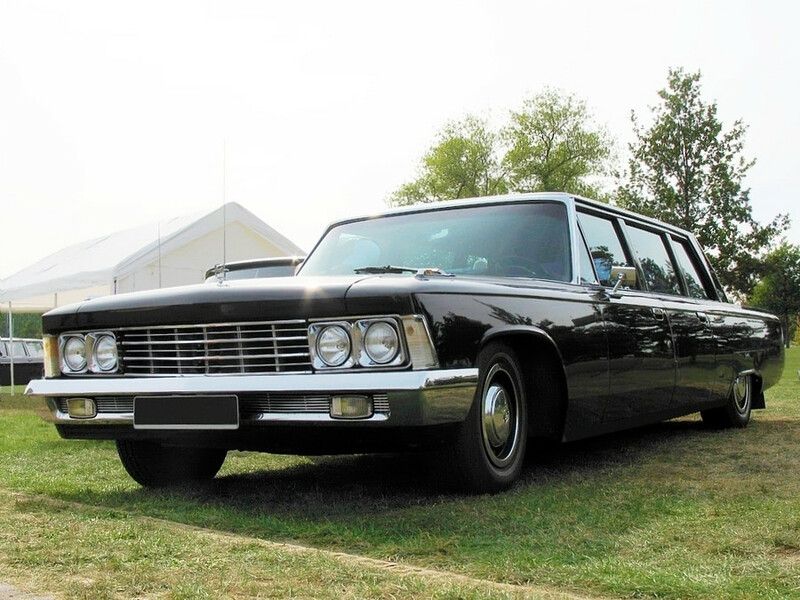 In 1972, US President Richard Nixon gifted Brezhnev with a Cadillac Eldorado and, two years later, at the request of the Soviet leader, a specially ordered Lincoln Continental was sent to the Kremlin. Brezhnev also used the Soviet-made ZIL 114. 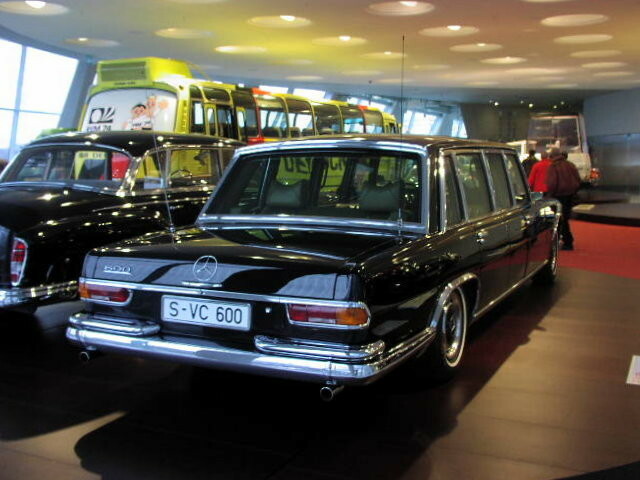 According to some sources, Brezhnev had anywhere from 49 to 324 cars in his collection. 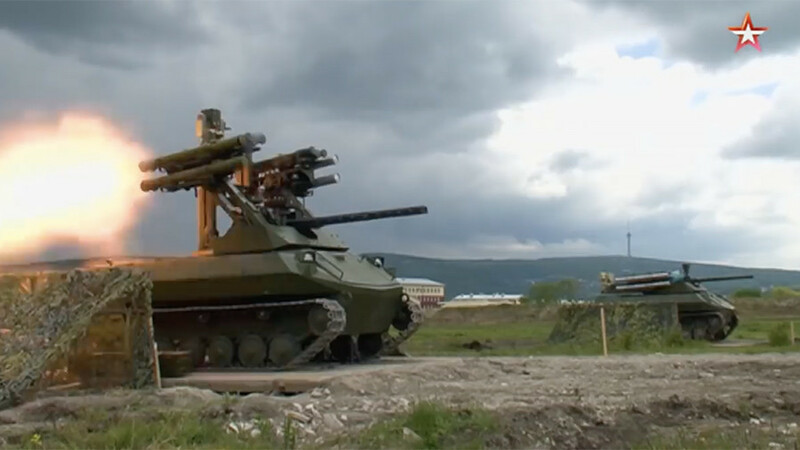 Both Gorbachev and Yeltsin used the armored ZIL-41052 model, which was released in 1988. Only 22 of that model were ever produced and only 10 of them have been preserved. When Putin first took office, he mostly used the Mercedes 600 Pullman, but for official visits and parades he used the ZIL-41052. 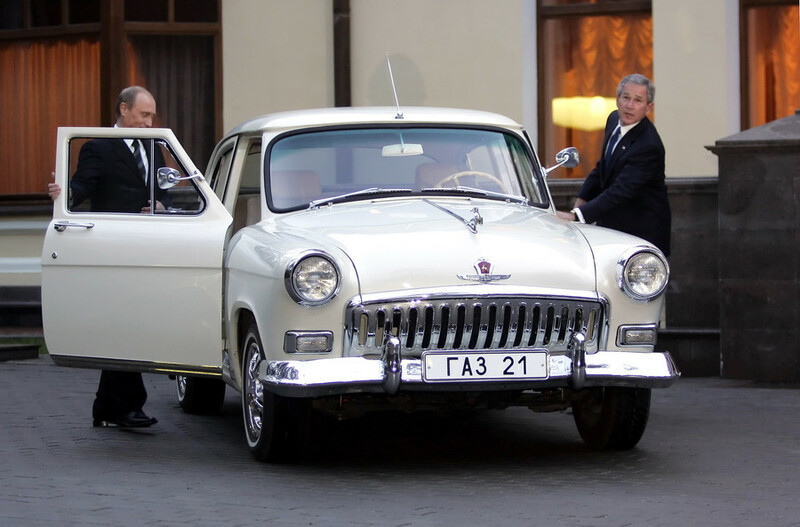 During a visit to Russia by US President George W. Bush in 2005, Putin allowed Bush to take a drive in his 1956 vintage GAZ-21 Volga. And, in 2009, Putin showed journalists his new Russian-made Lada Niva in camouflage colors. In 2009, Putin showed journalists his new, Russian-made Lada Niva in camouflage colors. 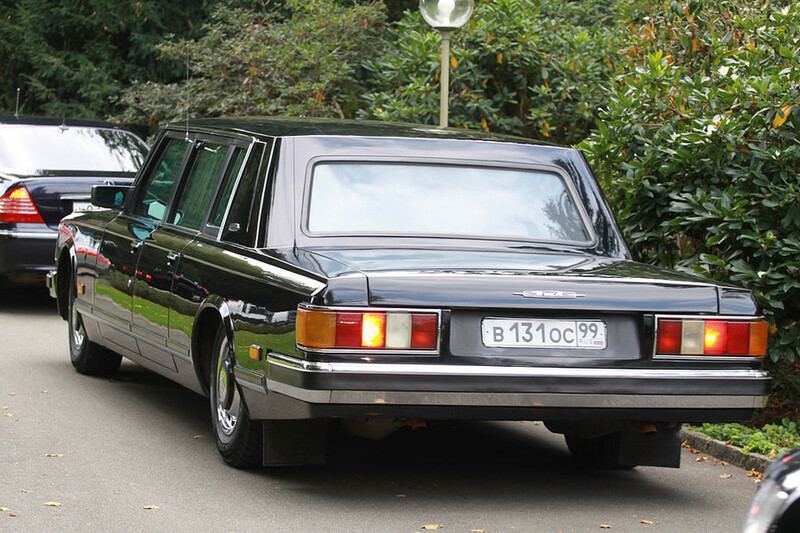 Medvedev used the Mercedes S600 Pullman Guard limousine, which was increased in size and equipped with the latest technology, as well as a computer with internet access, a DVD player, a TV and a refrigerator.